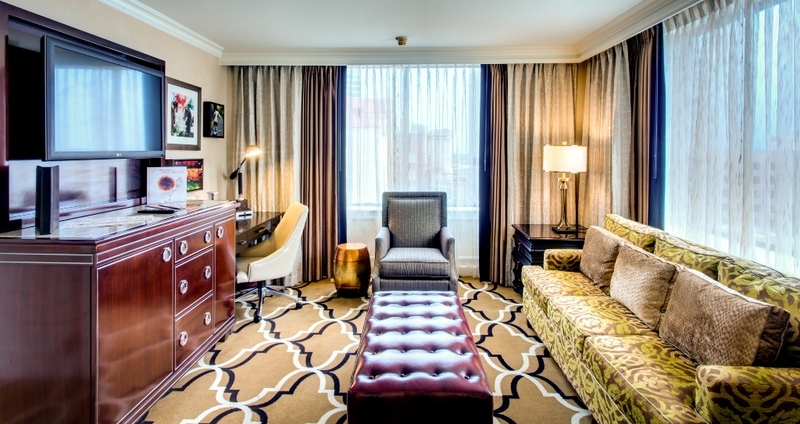 The unique blend of classic and contemporary New Orleans décor in your InterContinental New Orleans guestroom makes an uplifting first impression. 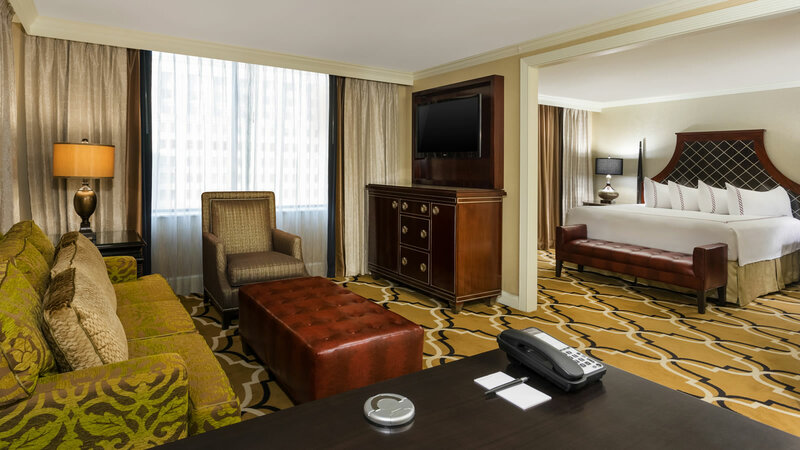 Whether you select a room with a balcony or a spacious presidential suite, your choice makes for an elegant New Orleans experience. 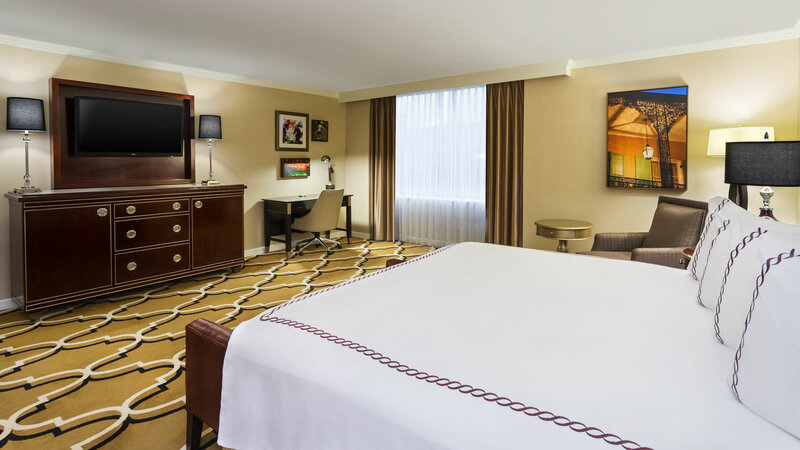 Rich wood furnishings, soft and inviting beds with luxurious bedding, and tasteful artistic accents create an environment you’ll remember with fondness for years to come. 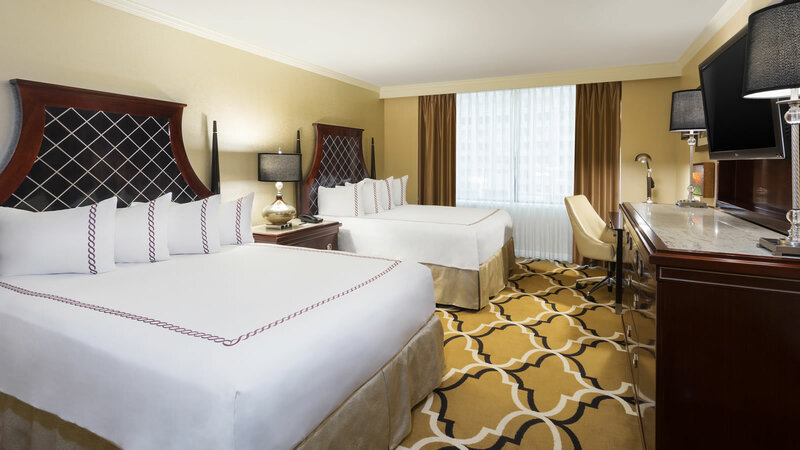 Rest peacefully in your soft king bed with luxurious linens in this elegantly appointed guest room. 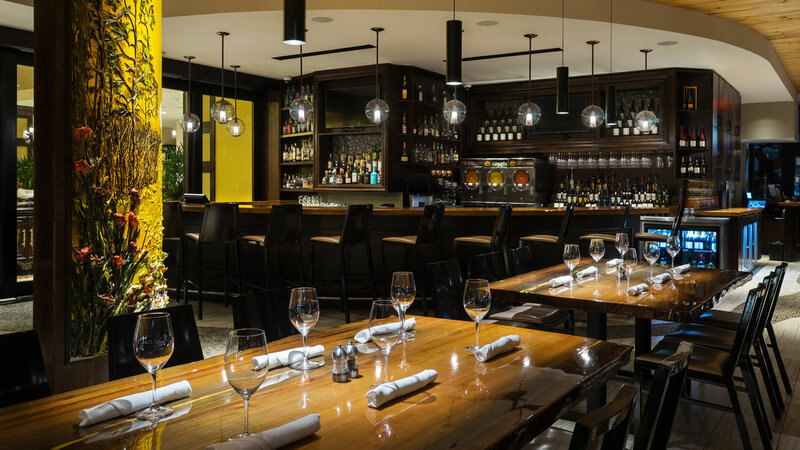 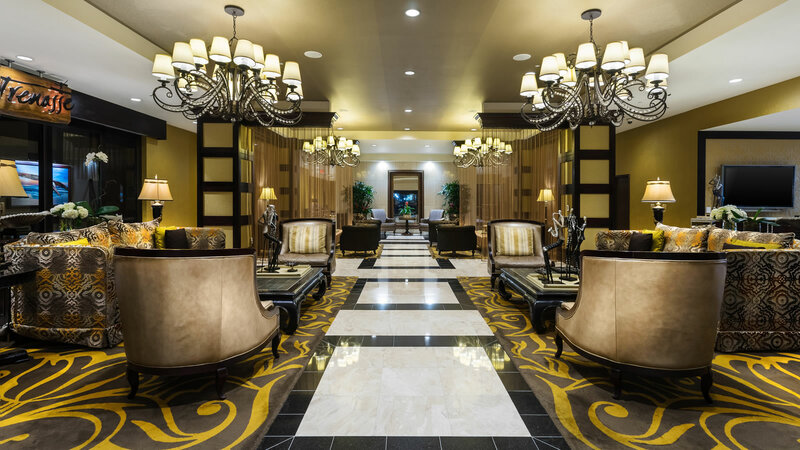 Rich wood furnishings, tasteful artistic accents, and a variety of lighting options let you create an environment personalized to your mood. 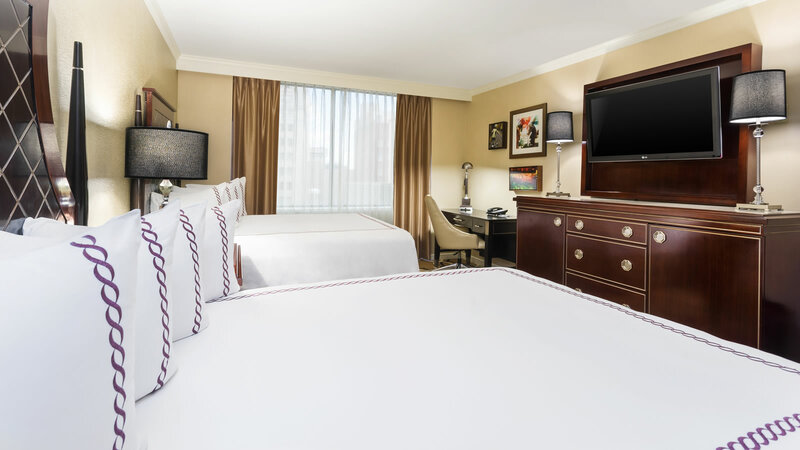 Complimentary and reliable high-speed Internet access and a generous workspace help make your time conveniently productive should you have business to conduct during your stay. 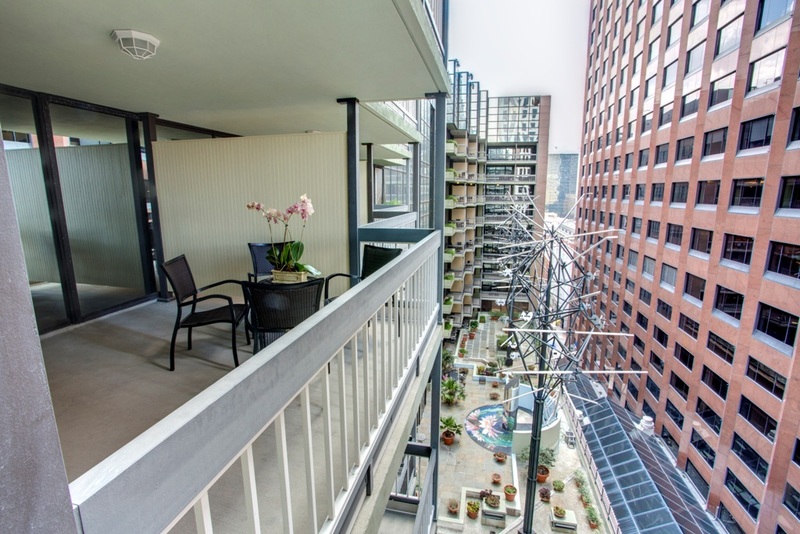 Take in the picturesque view of our Sculpture courtyard area from your balcony guest room. 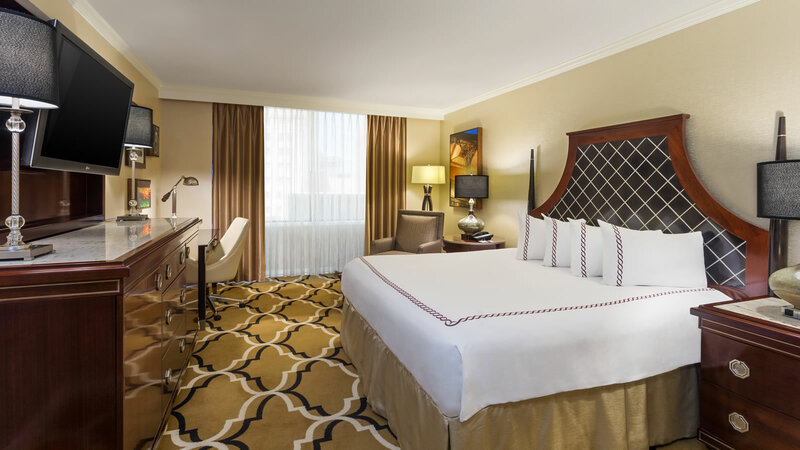 In this well-appointed room, the bed is grand and the space is generous. 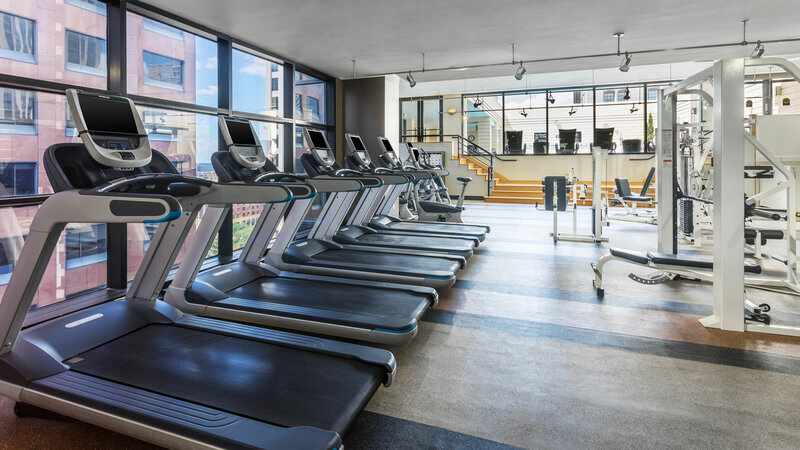 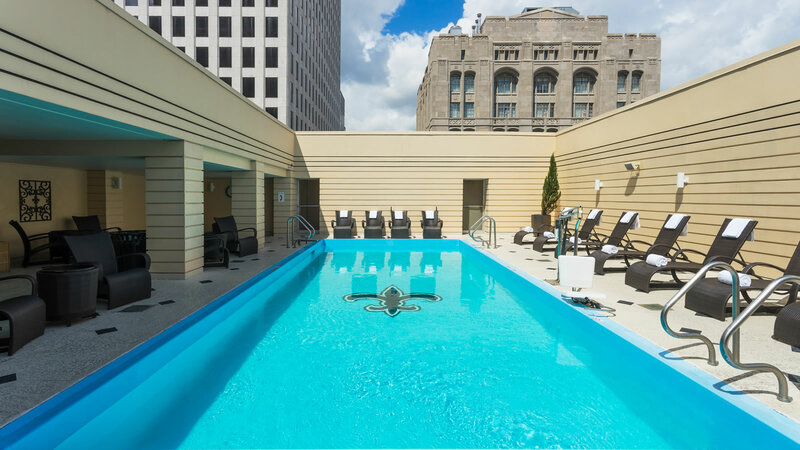 Amenities abound here along with the extra touch of an open-air deluxe balcony with outdoor seating. 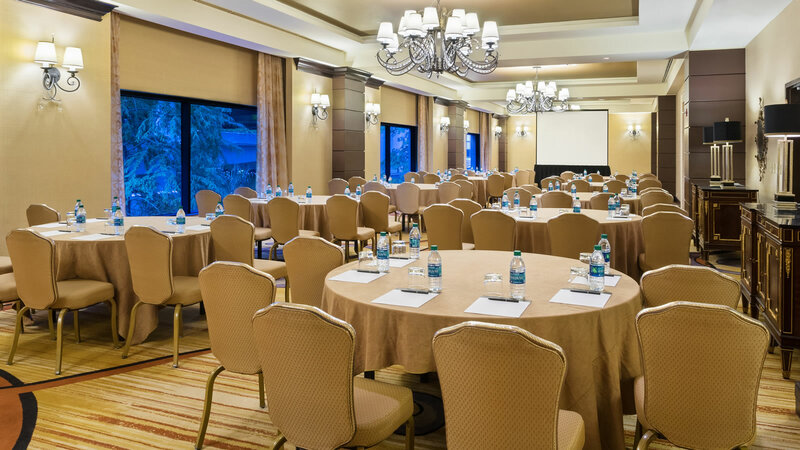 Reliable high-speed Internet access is complimentary so you can easily stay connected with your business or social events. 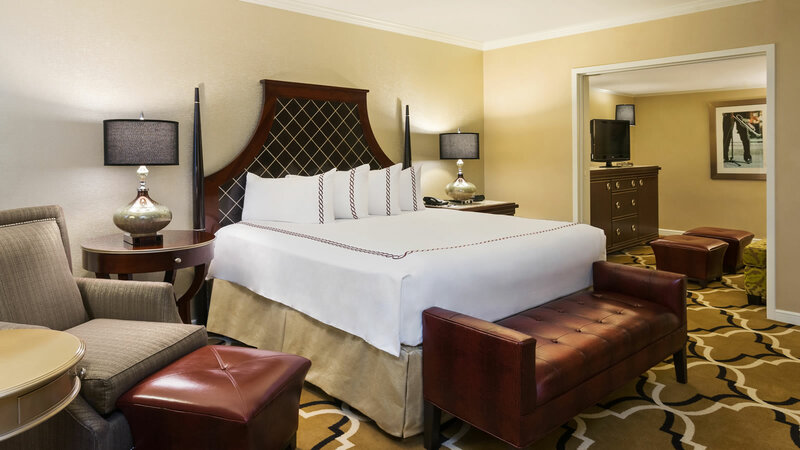 Enjoy this guest room featuring two comfortable queen beds, high-end wood furnishings and tastefully-appointed accents. 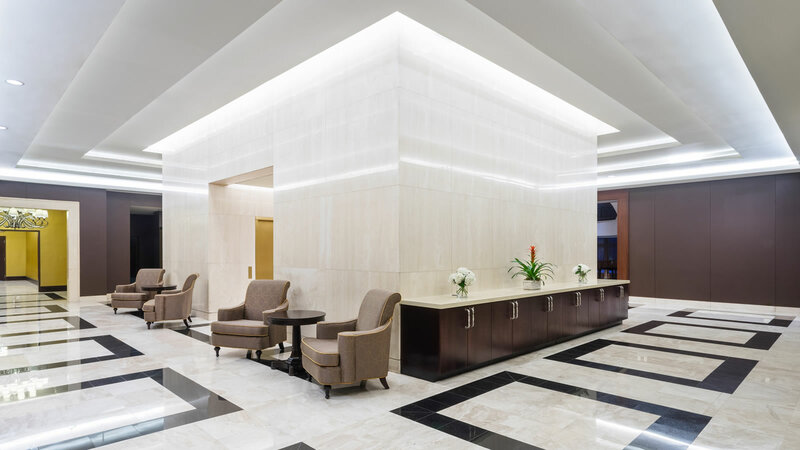 Create the ambiance you desire with flexible lighting options. 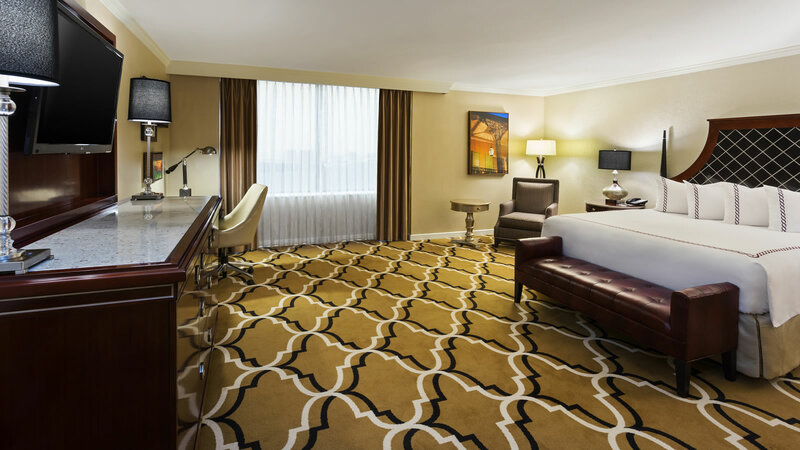 If you’re traveling with a friend or colleague this space has plenty of room for both of you including a generous workspace. 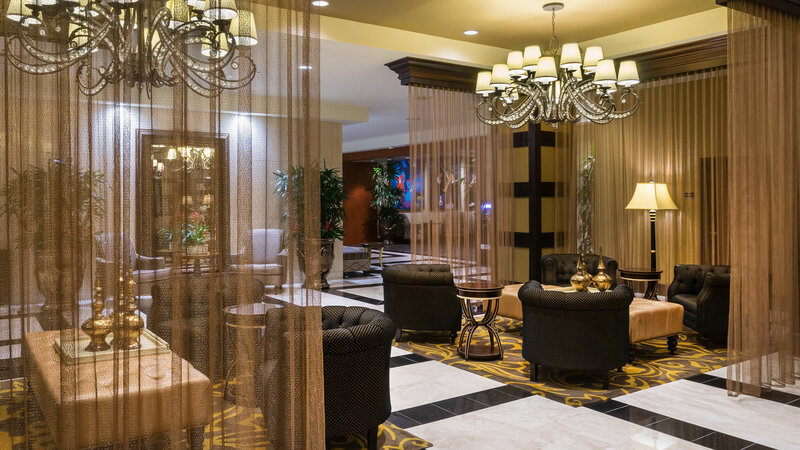 Savor the scenery of our outdoor art sculptures from the comfort of your private balcony. 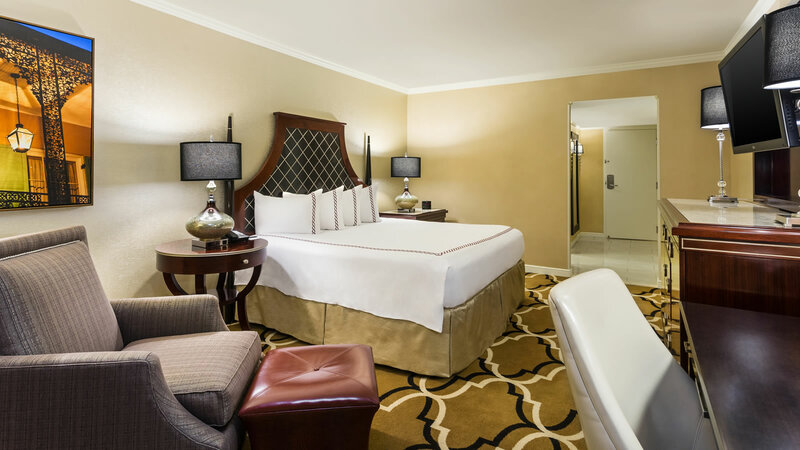 Two queen beds in this spacious room are perfect for you and your travelling companion. 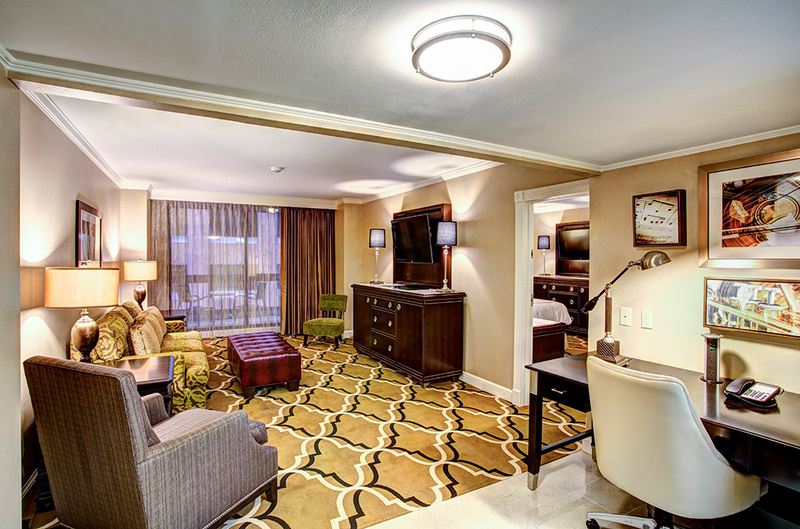 Your deluxe balcony room has all the fine amenities you expect with a little something extra. 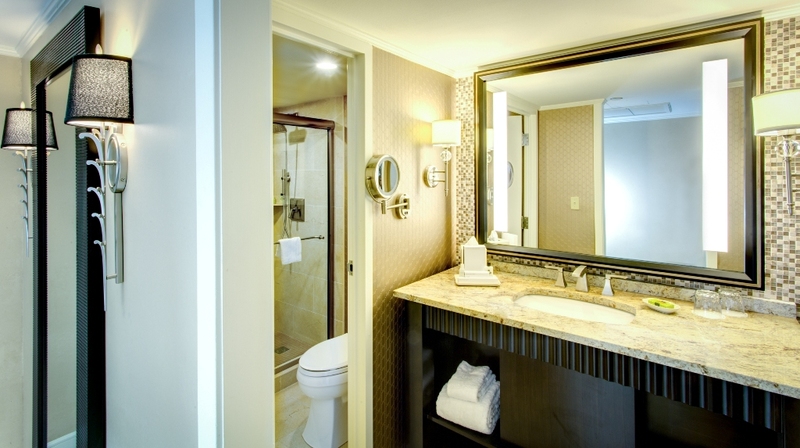 Complimentary HSIA. 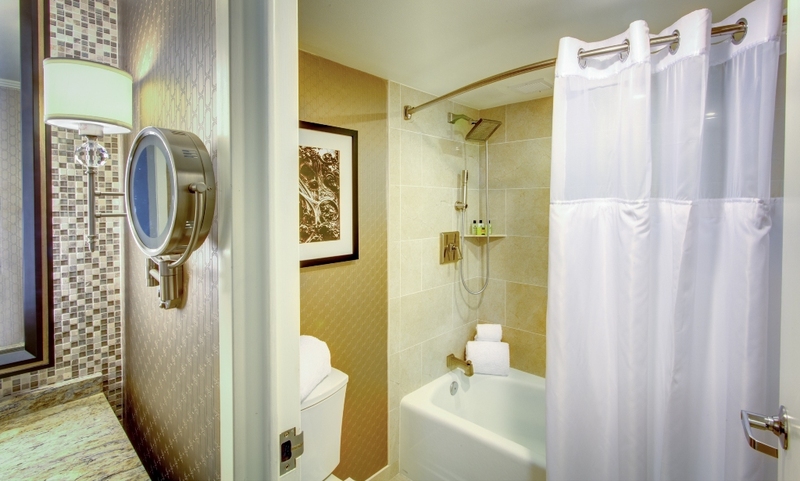 Live in comfort and have your needs met with luxury in our Accessible Rooms. 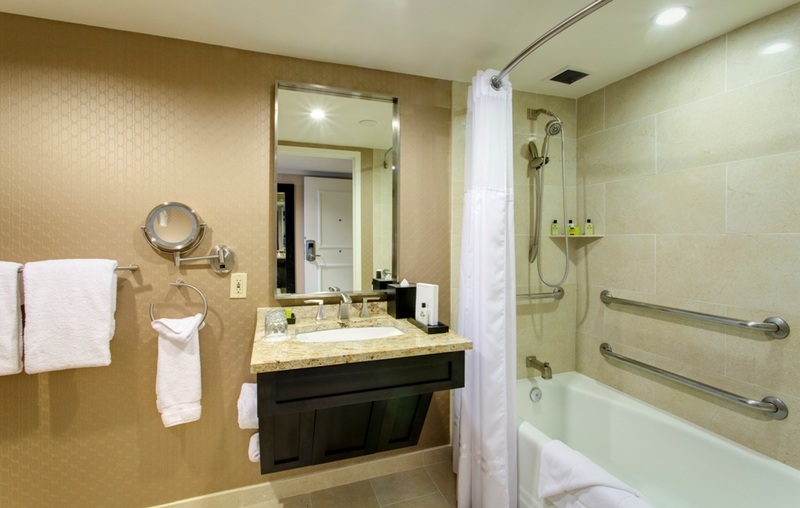 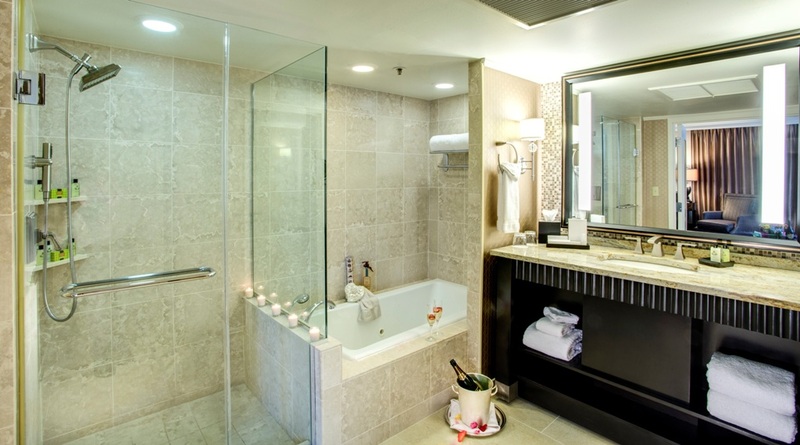 These sophisticated rooms have easy access showers or tubs, as well as wheelchair accessible routes, visual alert telephones, specially placed thermostat controls, enhanced drapery controls with extended reach wands, and lowered closet organizers. 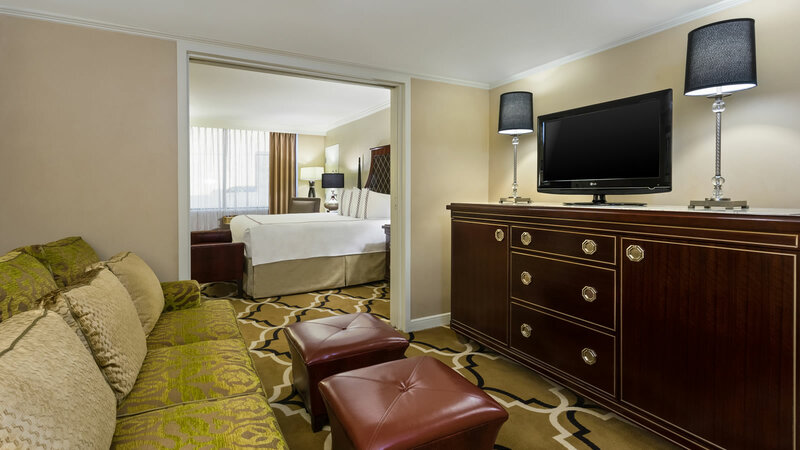 Upgrade to one of our spacious Hospitality Suites and enjoy a soft king-sized bed, parlor, and living room equipped with a sleeper sofa. 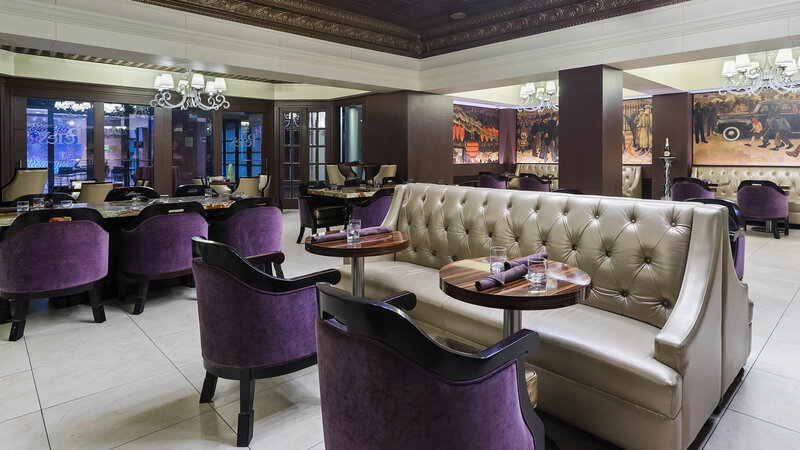 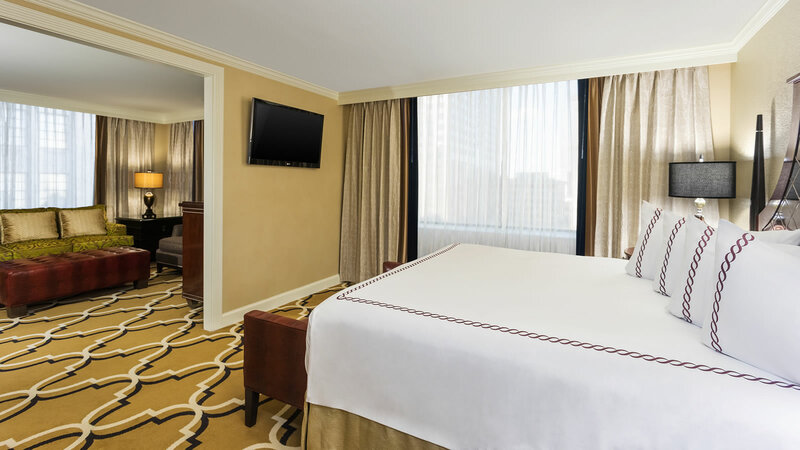 Hospitality Suites offer guests added space to make their trip more rewarding and comfortable while staying in New Orleans. 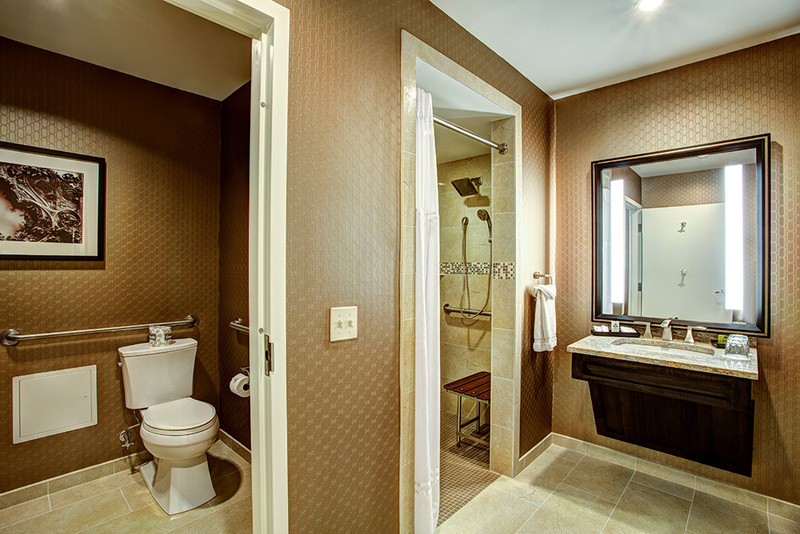 Relish in this perfect combination of versatility and elegance when you choose a King Balcony Suite. 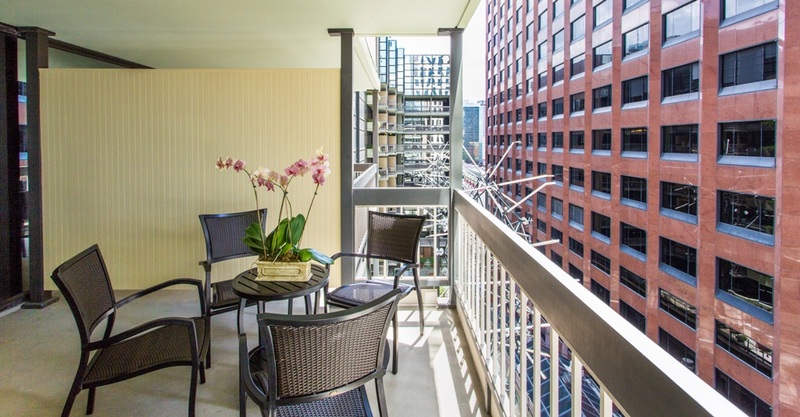 Included are a parlor and balcony for outdoor air while staying with us. 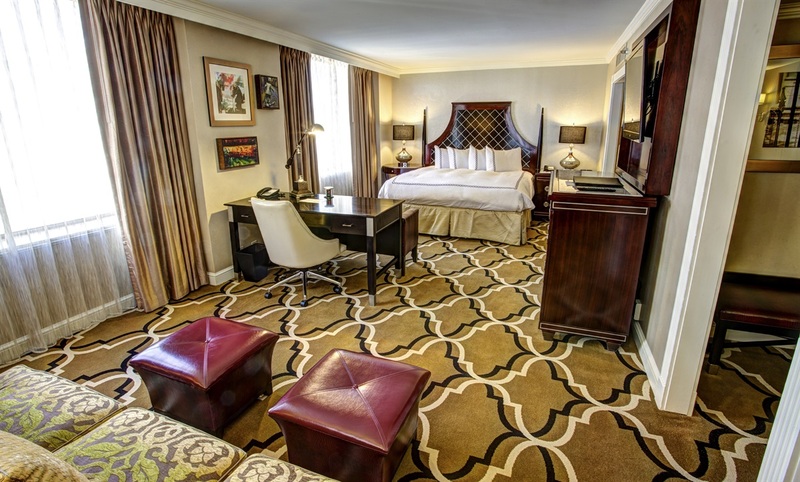 The updated floor plans offer generous seating and inviting décor while you stay in New Orleans. 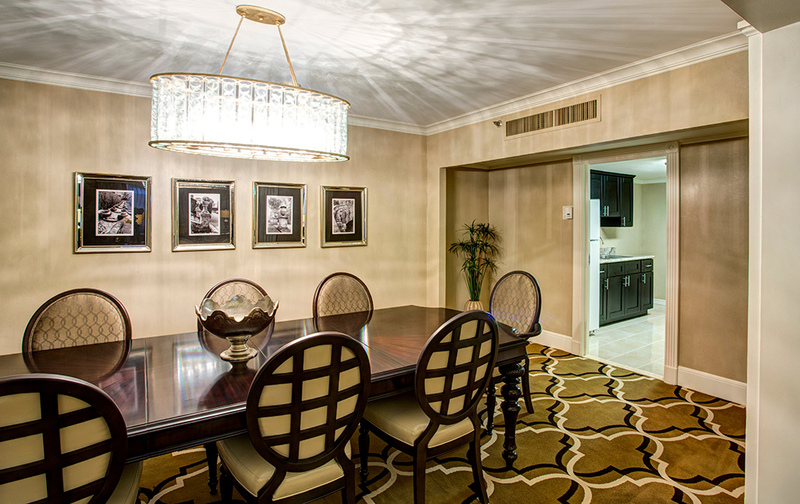 This expansive suite includes a private seating area that can be closed with pocket doors. 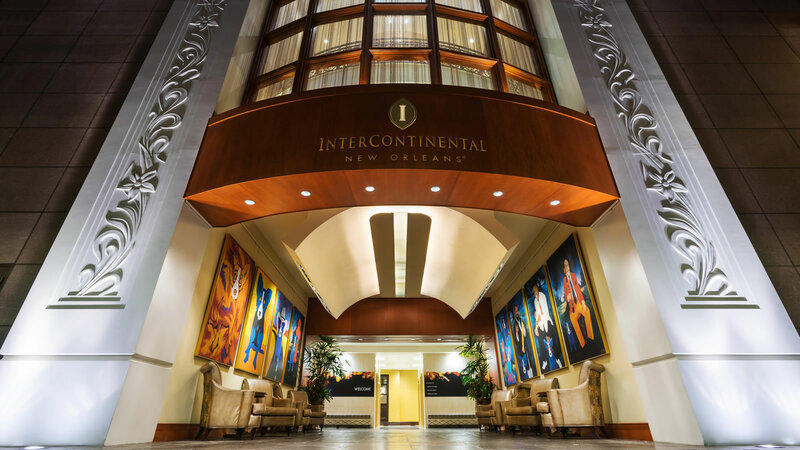 Use our complimentary WiFi or 24-hour business center so you can work while you stay at InterContinental New Orleans. 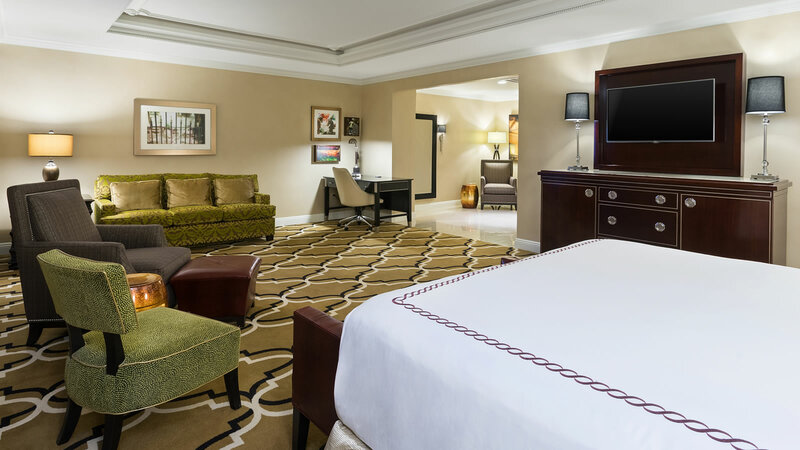 Discerning travelers who need added space when they travel adore this 2,100 square foot suite with luscious sleeping room, separate living area, formal dining, and full kitchen. 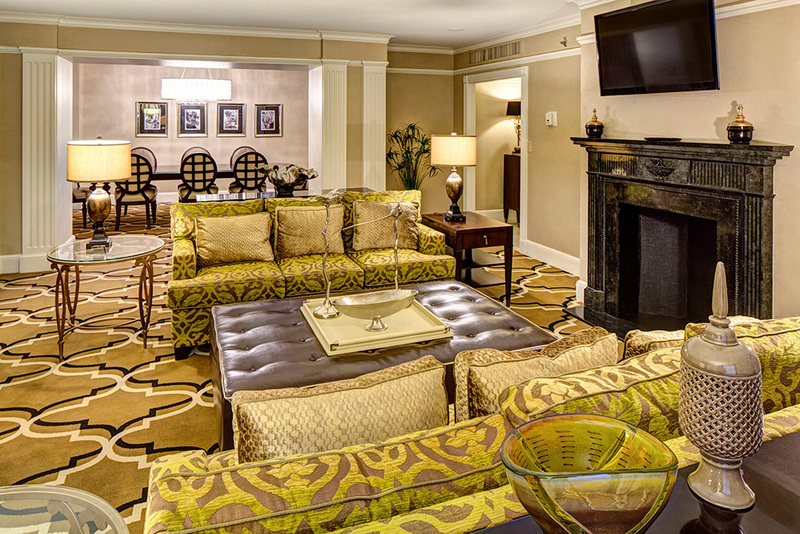 Select a balcony Presidential Suite and enjoy courtyard views.